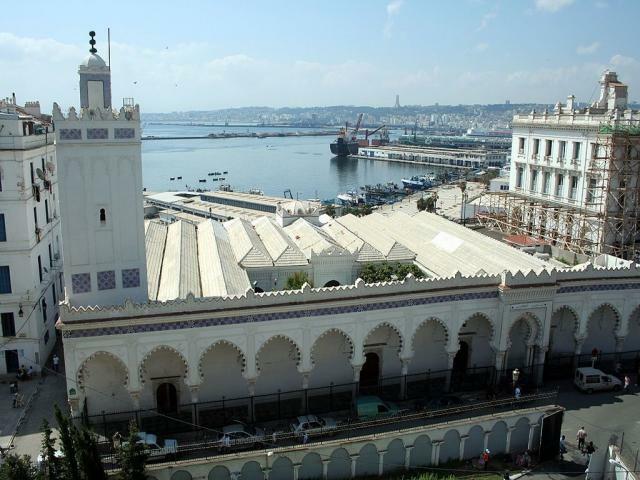 Great Mosque of Algiers or Djama’a al-Kebir is a historic mosque located in Algiers, Algeria. According to inscription on the minbar the mosque was built in 1097 AD and It is considered to be the oldest mosque in Algiers. The mosque is one of the few remaining examples of Almoravid architecture.